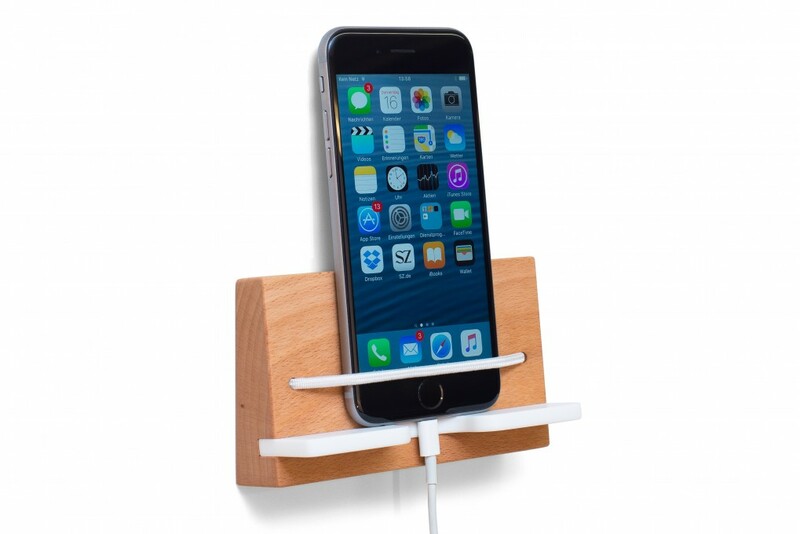 No more frantic searches for your mobile with our wall mounted smartphone holder. 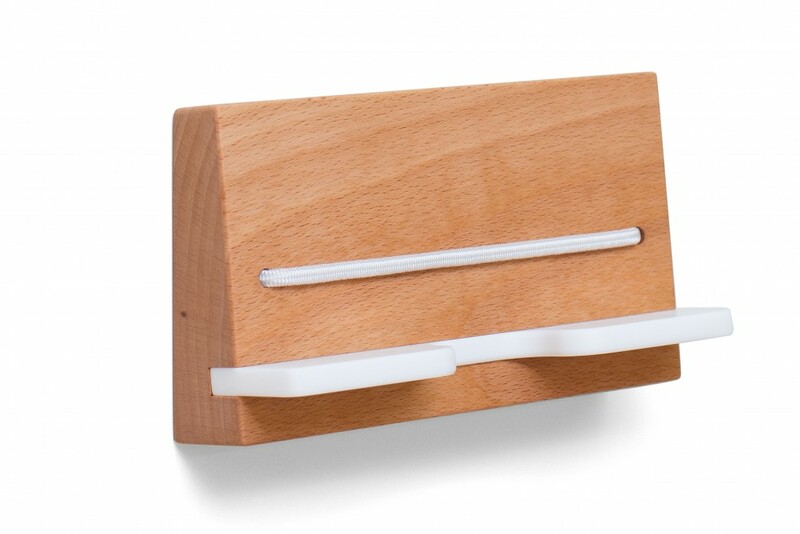 Made from solid beech wood, the holder provides a designated place for charging, storing, or displaying your smartphone. 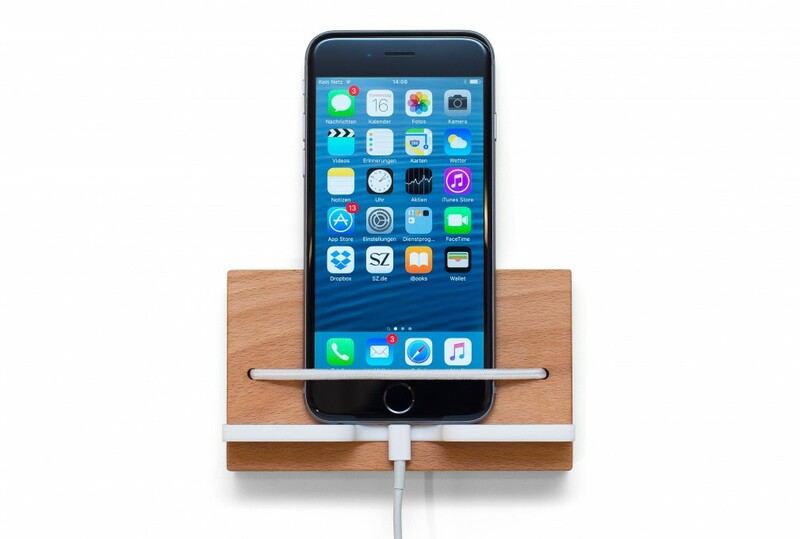 The smartphone holder is made from solid oak wood. It guarantees a safe place for your mobile: the smartphone is secured with an elastic band and placed on an acrylic solid surface material. 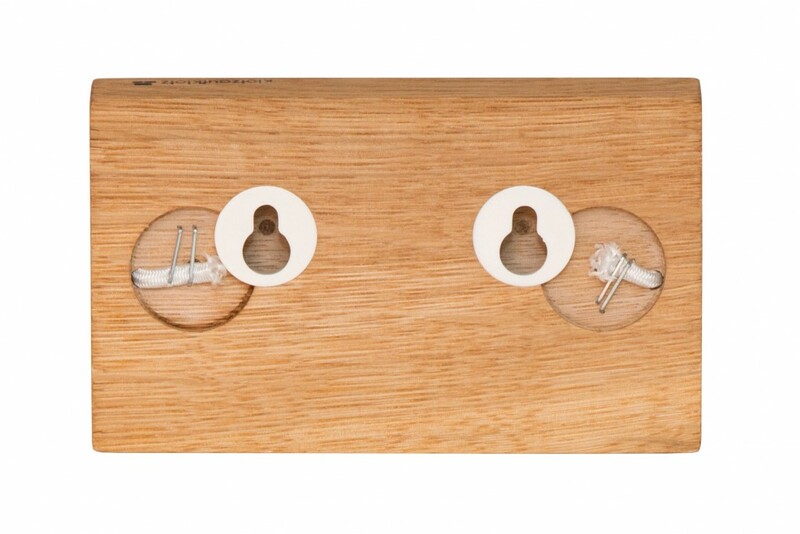 With its simple and sleek design, this item will look stunning wherever you choose to place it.